The Holy Stone F181 drone comes with a HD camera,headless mode for easier flying and one key return so that you will not lose the drone easily.It is a great drone for beginners as the headless mode makes it easy to fly and with the 720p camera,you can get some decent aerial shots. The drone will give a flight time of around 7 minutes,which isnt much and why I always advise to get extra batteries. All in all a good drone for those beginning their drone flying journey. Welcome to my review of the Holy Stone F181 drone, Holy Stone are a relatively unknown entity in the drone world,however they have manufactured some good toy drones and the F181 has sold exceptionally well since it was released a couple of years ago. The Holy Stone F181 RC Quadcopter Drone is a lightweight drone with built-in HD camera and smart features that allow you to recall and land the drone with a single button. 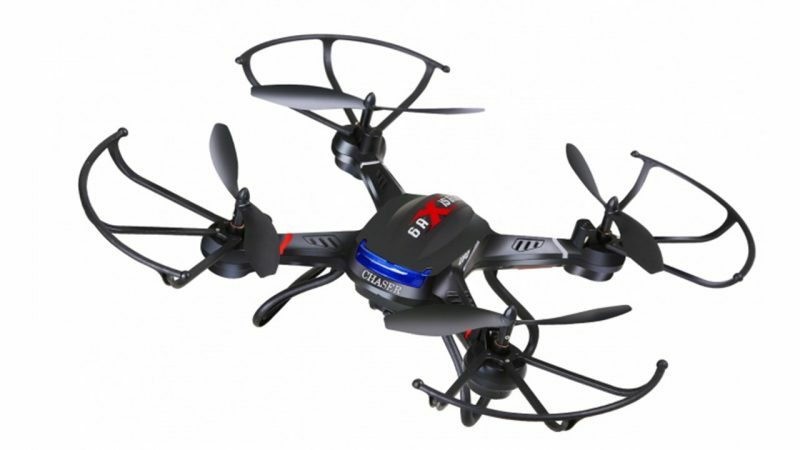 For a relatively cheap drone it comes with a lot of features that makes it quite a bargain. This makes it a great choice for new drone operators and hobbyists looking for a fun drone to fly. The Holy Stone F181 drone makes a killer first impression, visually it looks well designed. It has sleek sporty looks that make you feel like you’re flying a covert mission and the LED lighting takes that aesthetic up a notch for a futuristic twist. Looks aren’t everything, but let’s be honest—who doesn’t want to look cool while flying their drone? The F181 remote controller looks very much like video game controller,it fits nicely in your hands and is easy to use. All of the functions are clearly indicated on the controller itself, so you don’t have to spend too much time learning which button does what. Also, the wi-fi and battery indicators on the built-in screen are a nice touch; with the battery indicator, you’ll know right away when you’re running out of charge. 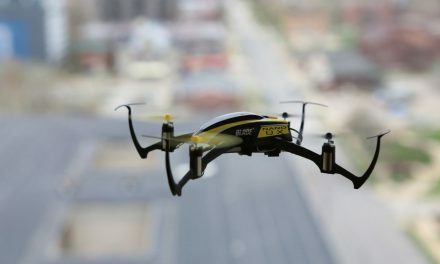 On the note of batteries, the Holy Stone F181 comes with two lithium-ion polymer batteries, Li-Po batteries are the go-to battery sources for all drones now because they provide for a longer lasting charge which means longer flight times. So, getting two of these batteries with your drone doubles your flying time which means you do not need to purchase extra batteries but I still advise you purchase some anyway. The altitude hold function is really nice. I like that I can get the drone to hover so I can take better pictures. While it’d be nice if the camera was 1080p, the images are still HD and look quite stunning. With a 720p camera, you can still manage to take some awesome images. All in all, I’m a big fan of the Holy Stone F181, despite being a toy grade drone, it has some pretty advanced features which will make it a great drone for all level of flyers. Like most toy drones, flight time is extremely limited, you can get around 7 minutes with this drone, luckily it does come with extra batteries so you don’t have to wait around once one set of batteries is drained. The altitude hold function is perhaps one of the coolest and most useful features that sets the Holy Stone F181 RC Quadcopter Done apart from the rest of the pack. With altitude hold, you can release the throttle, and Holy Stone’s special air pressure management system will keep the drone hovering in place. This feature is purpose designed to ensure those making videos and taking pictures get the perfect shot every time. The F181 RC’s headless mode is designed to simplify the quadcopter flying process by syncing the drone with its remote control so that the drone’s sense of direction is locked into your remote control’s orientation; for instance, when you press forward on the remote, the drone always flies forward—regardless of where its “head” is. This is a great feature for beginner fliers or for those who may be flying where they can’t keep a constant visual sight on the drone. 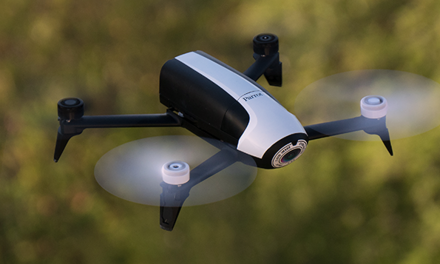 The two “one key” features are another design nod for beginning drone pilots. One key return allows you to press one simple key on the drone’s remote controller to get it to return to you. One key landing works on the same principle; by pressing one key, the drone will land itself. 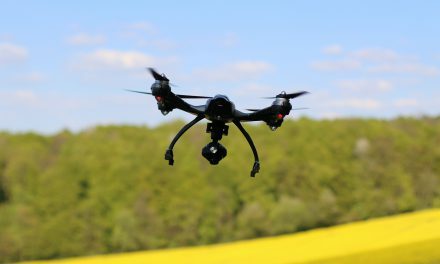 These are great features to utilize when the drone’s battery is getting low for fast returns. The drone is made out of plastic which makes it pretty durable, it comes with blade protectors which I advise all new drone flyers to fix before flying. It’s inevitable if you are a new flyer that you will crash any drone you fly for the first time. There are LED lights underneath each rotor arm, which gives it a very futuristic look and makes it easier to fly at night time. The bright LED lights not only look great, but they ensure the drone is always visible even in low lighting. Additionally, the LED lights also provide great lighting for taking HD pics. 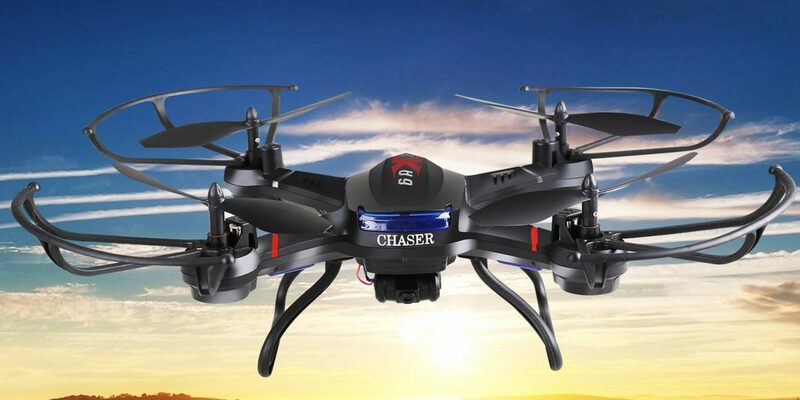 The Holy Stone F181 RC Quadcopter Drone is powered via a rechargeable lithium-ion polymer (LiPo) battery. You get about eight minutes of flying time from a single charge with the battery, which is why Holy Stone includes two of these LiPo batteries. Usually, you will only get one,so getting an extra one is an added bonus because let’s face it you would have had to buy another battery because 8 minutes of flight times just isn’t enough. This is probably one of the downsides of toy drones,their limited flight times can be frustrating. This is a great drone for beginners, it has a lot of features that will make flying a drone that much easier, for a drone that is quite cheap,it is worth purchasing if you are looking for a bit of fun. The Holy Stone F181 RC Quadcopter Drone’s one key return and landing features are great at providing ease of use to new drone fliers, while the more advanced features like hovering and camera options will be enjoyable for those more comfortable with quadcopter flight. The 360 flips and the remote control that fits nicely in your hands are an added bonus. When you add in the two included batteries for increased flight time, the result is a well-thought-out design. I highly recommend the Holy Stone F181 RC Quadcopter Drone for anyone looking to have a bit of fun and take some decent photographs. The included Lithium-ion polymer batteries give decent power to the drone; however, you have to be sure to follow the instructions for proper LiPo battery care to avoid burnout. LiPo batteries are also extremely powerful, so you may wish to purchase a bag to charge and store it in. Battery life averages about eight minutes for each battery, which is the bad news. The good news is that the drone comes with two LiPo batteries included to double your flight time, so this isn’t too big of an issue. This drone seems very cool, I think the controller would be a good fit for me as it looks more like a video game controller than some of the other drones i have seen. Do you think this is a good drone for beginners? I have no experience with them and would be worried I’d mess up a higher end one so I want to start with something more entry level. The Holy Stone F181 is definitely a great drone for beginners, it has some advanced features and a decent camera. If you are looking for your first drone, this will do fine.